There are 3 cat videos tagged with clouded-leopard. 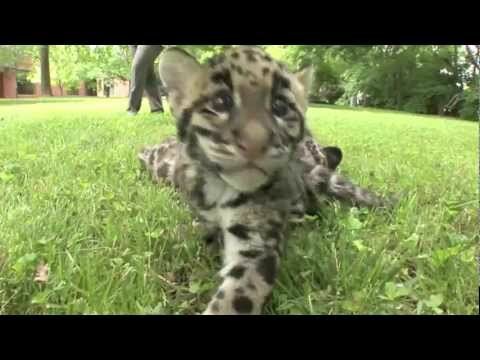 An update on these cute clouded leopard cubs, now in this video are two months old. At this point they are still being bottle fed but are starting to eat real meat. 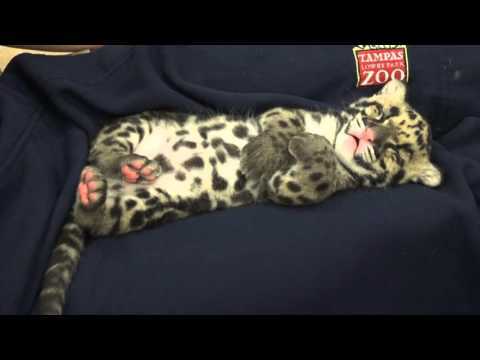 At Tampa’s Lowry Park Zoo a six week old clouded leopard cub takes a nice (and adorable) nap. The tiny cub is tired out from learning motor skills and teething! 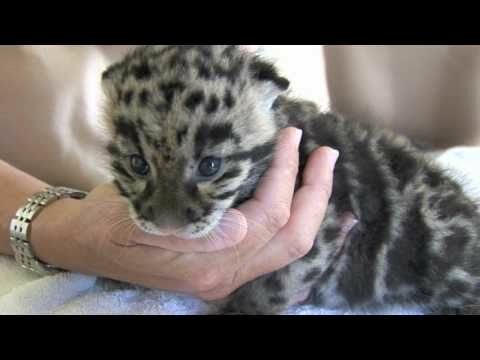 Newborn Clouded Leopard Cubs - 1 month old. At the Nashville Zoo, in this video these tiny clouded leopard cubs have just turned one month old. Clouded leopards are not closely related to the leopard as one might assume given the name. They are the smallest of the big cats and are thought of as the link between big cats and small cats. To see a video of these cute cubs at two months old, watch here.